I get a lot – I mean a lot – of questions about writing, editing, publishing and everything else the aspiring writer needs to know. And – as I had a lot of help from more established writers myself – I do try to answer the questions, although I can’t always provide more than generalised advice. As many of the questions I get are duplicates, I’ve decided to formalise (sort of) the process with Ask A Writer. Email me your questions and I will answer them, if I can, in a blog post. I’ll start listing the answers below, once I get some. Please include as much detail as you can, but remember that the blog post will be public so use false names or pick your words carefully if you’re concerned about someone seeing it <grin>. · Generalised advice on writing, editing and formatting. · Generalised advice on dealing with issues such as editors, agents, publishers and taxmen. · Offer accountancy advice. I’m not an accountant. · Answer questions that have already been asked, answered and listed below. 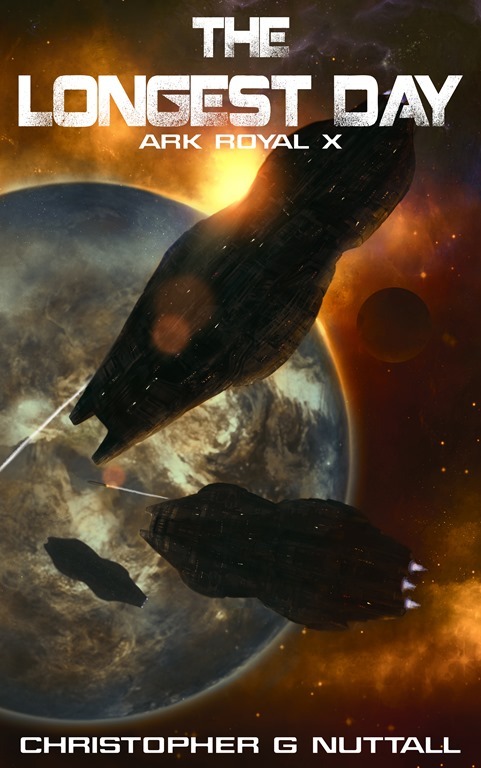 The first major alien offensive against Earth has been blunted, winning humanity time to deploy new weapons and prepare new tactics as Earth’s space navies prepare to take the offensive. But the enigmatic aliens have plans of their own – a full-scale attack on Earth that will either win the war in a single stroke or lose it. … And defeat will be the end of everything humanity holds dear. First, Bookworm is now available on audio <grin>. It’s the first of four, so please feel free to check it out. Second, The Invasion of 1950 is now available in paperback. Third, The Longest Day will be up for pre-order soon. It will go live on 1st July. And The Gordian Knot (Schooled in Magic 13) will be coming soon. I’m not sure if this will be the final version, but it’s pretty close to it. He leaned back in his chair, silently enjoying the moment. Too many of the senior tutors were strangers to him, either through loyalty to Gordian’s predecessor or through ambitions of their own. He could count on them not to do anything that would actively harm Whitehall itself – their oaths would see to that – but he knew better than to expect them to follow him unquestioningly. And it was difficult, even for an experienced political warrior like himself, to edge them out of their positions. They couldn’t be dismissed for anything other than gross misconduct. Gordian nodded, keeping his face expressionless. The senior tutors had the right to elect the Head Pupil for the year, if they wished to use it. He’d refrained from raising the issue, half-hoping they’d choose to leave the matter in his hands. There were pupils – several pupils – that he would prefer not to see elected. Gordian groaned, inwardly. No two accounts of what had happened in Beneficence seemed to agree on everything, save for one detail. Emily had saved the city, somehow. If the more extreme reports were to be believed, she’d battled a god. Gordian wouldn’t have believed it himself, if he hadn’t read the reports that hadn’t been made public. He couldn’t help hoping that the full story – or at least the version he’d heard – never leaked out to the rest of the world. Too many sorcerers – and religious sects – would see it as a challenge. “Cabiria has talent,” Professor Thande said. Gordian met his eyes. The hell of it was that Sergeant Miles was correct. Emily was the only student who had saved the school. By any reasonable standard – certainly in terms of achievement – she stood head and shoulders above the rest of the students in her year. There had never been any sign that Emily wanted, let alone expected, to be Head Girl, but everyone else probably expected her to walk into the post. And she deserved it. And yet, she was a menace too. He’d wanted to expel her last year, when he’d become Grandmaster. Putting her on probation – and forcing her to work with Professor Locke – had been done in the hopes of keeping her out of trouble – or convincing her to quit. It wasn’t as if she would have had problems finding a place at another school, somewhere well away from Whitehall. Gordian certainly wouldn’t have stood in her way. She’s not evil, he thought. He admitted that, privately. But she’s disruptive. He kept his face impassive as he contemplated his options. Nothing had happened openly – not yet – but he knew that more and more important figures were growing … concerned about Emily. Child of Destiny, Necromancer’s Bane … she was a knife that could cut both ways, something that could reshape the world or damage it beyond repair. A sorceress who’d bested two – no, three – necromancers would be alarming enough, but her … innovations had started a chain reaction she might not be able to control. And she didn’t seem able or willing even to try. Gordian wouldn’t have believed that, either, if Emily hadn’t shown an astonishing prowess at manipulating and duplicating Whitehall’s wards. Even now, a year after she’d told him the full story, he still found it hard to come to terms with it. The Founders of Whitehall had been lost in the mists of time, known only by a handful of stories that contradicted each other more than anything else. And Emily had gone back in time, taught Lord Whitehall and his fellows the secret to controlling a nexus point, then returned to the present. It was unbelievable. It was also intolerable. He was Grandmaster, not her. He’d worked hard to secure a position of boundless power and influence, only to see it turn to ashes. He couldn’t have a student in a position to overrule him, perhaps even remove him from the school. He’d already started a very quiet program to do something about the whole situation, but he doubted he’d have time to complete it. Too many people wanted something done, now. And they were pressuring him to force her to divulge her secrets. Gordian pressed his fingers together, hiding his irritation. Jacqui had been his choice for Head Pupil, although Cirroc would have been a close second. The Head Pupil would find a multitude of doors opening for her, when she left Whitehall. It would give Emily the skills she needed – and probably keep her out of trouble – but it would also paint an even larger target on her back. Her enemies didn’t need more reasons to step up their plans. “As it should,” Sergeant Miles said. Gordian shot him a sharp look. If he were forced to be honest, one of the reasons he’d allowed Sergeant Miles to take Emily to the war was an unexpressed hope she wouldn’t come back. The war could have lasted months, if not years. She might have been killed or moved straight to a more regular apprenticeship. Instead, she’d bested her third necromancer and returned to Whitehall. There were no objections. He hadn’t expected any. And others are already moving against her, he thought. He’d heard rumours. Some of them had been nightmarish. What will happen when their plans come to term? There is very little that is completely original in The Thing In The Woods. I’ve seen these tropes before in a dozen horror movies. The idea of an isolated American town with a dark secret – in this case, a ancient man-eating monster and a cult that worships it – is hardly new. And yet, the story does have an undeniable charm. The teenage hero of the story – James Daly – is an outsider in the community, someone who dreams of leaving. (Most of the characters either want to leave or protect what they have.) When he has a close-encounter with the monster, he finds himself targeted by the cultists and trying to escape a web of deceit and conspiracy. The villain is someone who very clearly started out with good intentions – the protection of the community – and went steadily off the rails, something that eventually turns some of his supporters against him. In some ways, the book doesn’t develop some (or all) of its themes. There are hints of a greater story that never seem to come into focus – government involvement, perhaps – although there might be a sequel that tackles the question of just how much the government did know. (The government goes to some trouble to buy silence from the survivors, at the end of the book.) You could wonder if the book spotlights those who want to defend their community or those who just want to leave … but, at the same time, the book touches on the hopelessness of being trapped in such a community. Intentionally or not, the book points to some of the reasons for Trump’s victory in 2016. The Thing In The Woods is a fairly short read, but quite a decent one. I actually wanted to say more about it, but little came to mind. You’ll enjoy it if you like horror stories mingled with urban life. And it’s up on Kindle Unlimited as well as Kindle <grin>. 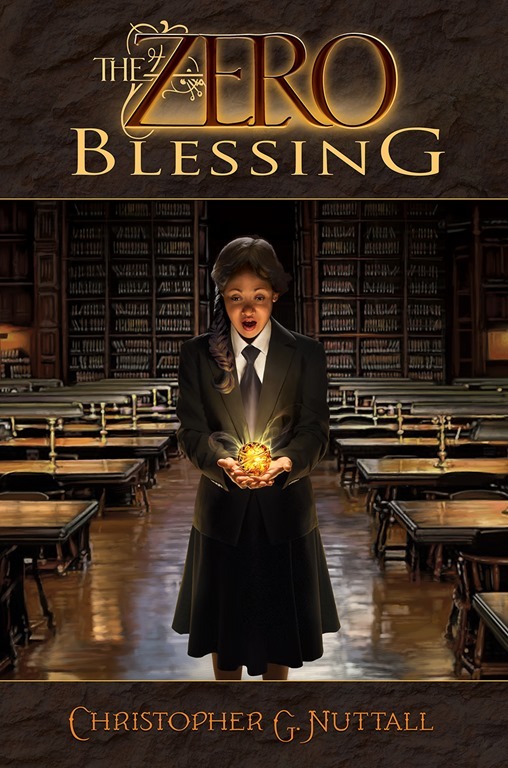 A handful of readers of The Zero Blessing noted that Cat was unusually mature for her age (she’s 12). I would dispute part of that – Cat isn’t always as mature as (perhaps) she should be – but she is more mature than the average twelve-year-old. And there’s a reason for it. Cat was raised on the assumption that she would (potentially) take over the family estates, businesses and patronage networks when her parents died. She and her sisters were given quite a bit of training in estate management as well as magic – she knows, at least in theory, how to keep the family’s properties going. Obviously, she doesn’t know everything and she has no experience whatsoever, but the building blocks are there. Cat was given an upbringing that was designed to prepare her for her future role. As her parents believed she would eventually develop magic, they never actually stopped those lessons. Cat … probably didn’t pay as much attention as she should have done, particularly as she grew more and more convinced she didn’t have magic. She doesn’t know all of the major players of her parents and her generation – she didn’t attend many parties and gatherings – although going to school is meant to correct that problem. But she does understand the basics, which will become more important as she grows older. Rose had something similar, although on a much smaller scale. She grew up in a community where children were put to work almost as soon as they could walk. She understands the importance of keeping the farm going, of doing everything from milking cows to mending fences every single day. Her parents assumed she would marry a farmer and go off to live with him, not study magic. She wasn’t taught how to read and write beyond the very basics – Cat was – but she did pick up the habits she needed to apply herself in magic school. This isn’t something that happens in (most) of our society. When I die, my son will inherit my savings, property, car and book collection, but he won’t inherit any connections I might have made in my life. I don’t have either a patron or a network of clients. I certainly don’t have tenants on my land. Publishers aren’t going to publish my son just because he’s my son; anyone who owes me a favour isn’t going to automatically extend it to my successors. No one in Shallot would raise eyebrows at Cat’s father passing his holdings – including the patronage network – to her or any of her siblings. It’s just the way of things, as far as they are concerned. Ideally, Cat’s goal would be to pass on the holdings to her own siblings – just like any feudal lord. Obviously, things aren’t going to work out that way. It’s been an interesting few weeks, for sure. Right now, I think I’m still a little in shock about the election results. Truthfully, I didn’t blame May for calling the election (and she had a run of bad luck) but she also dropped the ball multiple times. That tends to happen when you have politicians who don’t even have to win election to get into office – they can’t even muster voters, let alone inspire the people. My preliminary analysis – I’ll write more later – is that May failed to keep the BREXIT coalition together, at least partly because she proposed a set of horrible policies and because she looked weak on terrorism. I don’t know if a Tory-DUP government can actually work – and frankly it’s one hell of a dangerous gamble, because the numbers are too small to provide any certainty – but I suppose it’s better than the alternative. My general belief is that May would be well-advised to move ahead with BREXIT as possible, then pass the buck to another Tory to lead the party into the next general election. Anyway, on to somewhat less political matters. I’m currently 13 chapters into The Longest Day, which appears to be shaping up reasonably well. (It’s classed as Ark Royal X because I don’t think I can class it as II.5.) It’s actually quite different from the majority of my recent stuff, as it follows an event – the Battle of Earth – rather than a single starship or fleet (or person.) This allows me to fill in some of the blanks from the earlier books – something I had in mind from the start – and explore a few other aspects of the universe, such as the different nationalities involved in a major war. Keeping everything moving along at the same pace is a bit of a challenge. I’m hoping to get it up for pre-order by the end of the month and go live on 1st July (touch wood) but we will see. I’m still torn on what to write afterwards, though. I’m leaning towards The Gordian Knot – SIM 13 – but that would mean switching a few books around, as Graduation Day needs to come out fairly close to The Gordian Knot. On the other hand, I can leave Cat’s Paw and it’s sequels to mature for a while. Beyond that, a couple of people suggested an urban fantasy that wasn’t a thinly-disguised romance novel and someone suggested a cross-dressing story – boy pretends to be girl, for whatever reason. I do plan to give that one some thought, although – in the real world – I think it would be a little unrealistic. Coming to think of it, I do have my semi-Roman story universe to dust off and write.